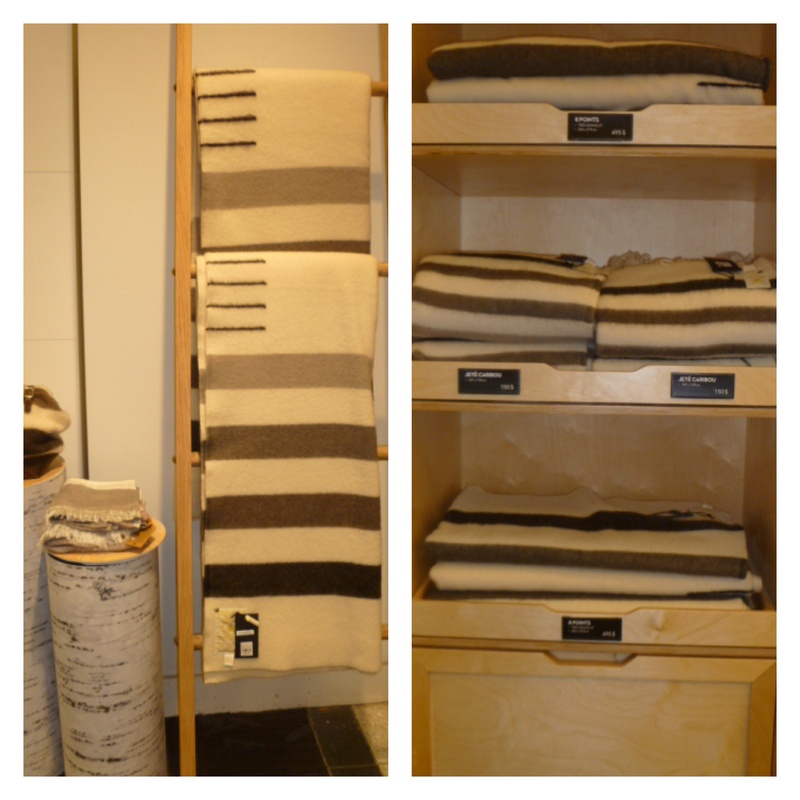 To know more about the Hudson Bay Company history and its famous blanket, click here. Pour en savoir plus sur l’histoire de la compagnie de la Baie d’Hudson et sa célèbre couverture, cliquez ce lien. It was fun to knit too. 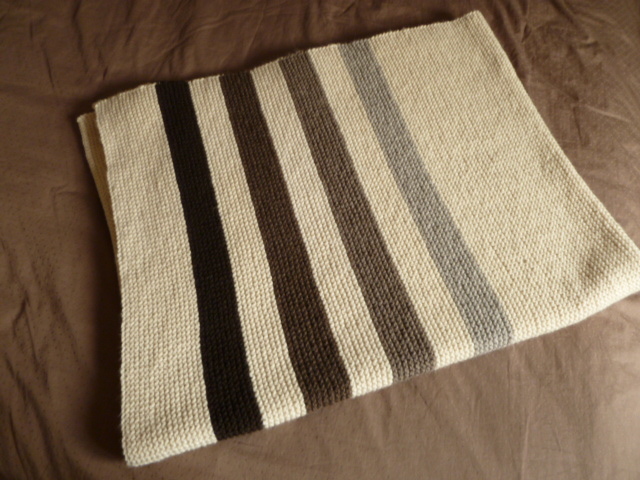 And I have enough leftovers from the four contrast colours to knit matching pillows, or a whole sweater. 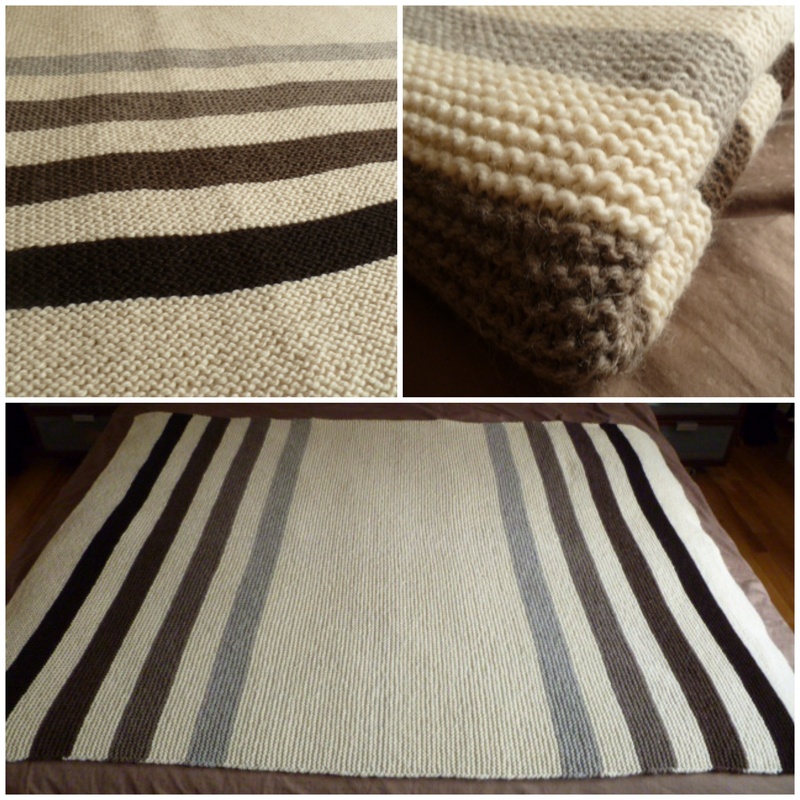 The great thin with this pattern is that you decide the weight and size you want your blanket to be.